Madrid, renowned for its boulevards, parks, and architecture, earns its reputation as grand, classical, and imposing. Madrid, Spain's capital since 1561, has played a major role in much of the country's history, serving as the backdrop to the Moors, Spanish monarchy, French occupation, civil war, and dictatorship in the 20th century under General Franco. Today Madrid is a graceful and elegant city, celebrated for its tapas, chocolate, and vast art collections, including the masterpieces at the Prado Museum. 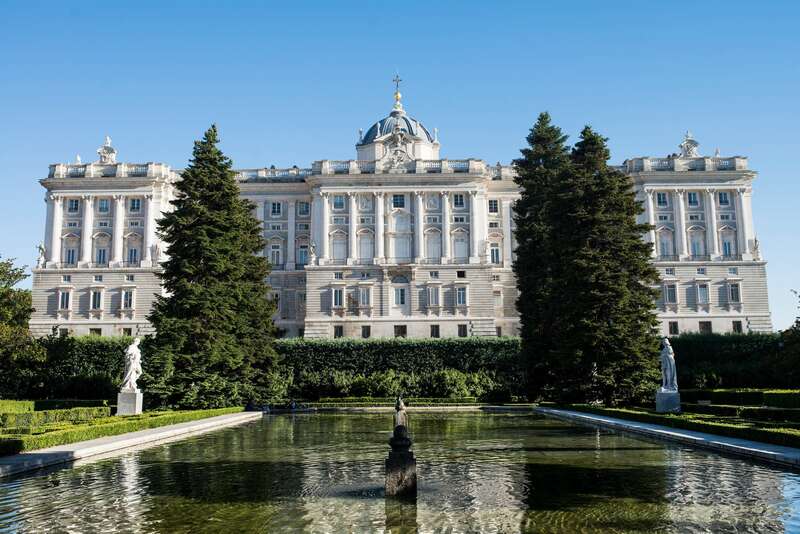 Explore the majesty of Madrid with Context's private and semi-private guided tours. With 25+ experts in our network in Madrid, we can organize a wide range of Madrid private and semi-private guided tours and other activities for culturally curious visitors. Some of our most popular private tours in Madrid include our Introduction to Madrid tour, which provides a general introduction to Madrid through historically or culturally important sites like Plaza Mayor, Puerta del Sol, and the market, and our in-depth Spanish Civil War Tour with a historian, in which we examine what life was like under Franco's fascist reign, and how Spain eventually emerged from this dark period. Other options include our Madrid for Kids tour, which examines a similar array of sites as our Introduction to Madrid tour with a family guide trained in Visual Learning Strategies, using clues around us to imagine life at different stages of the city's history; our Reina Sofia Tour, which takes a deep dive into some of the most important 20th-century works from such artists as Miró, Dalí, and Picasso, with a particular focus on his world-changing Guernica; and our Customized Private Tour of Madrid, in which we can design a custom itinerary to suit the proclivities of nearly every traveler.